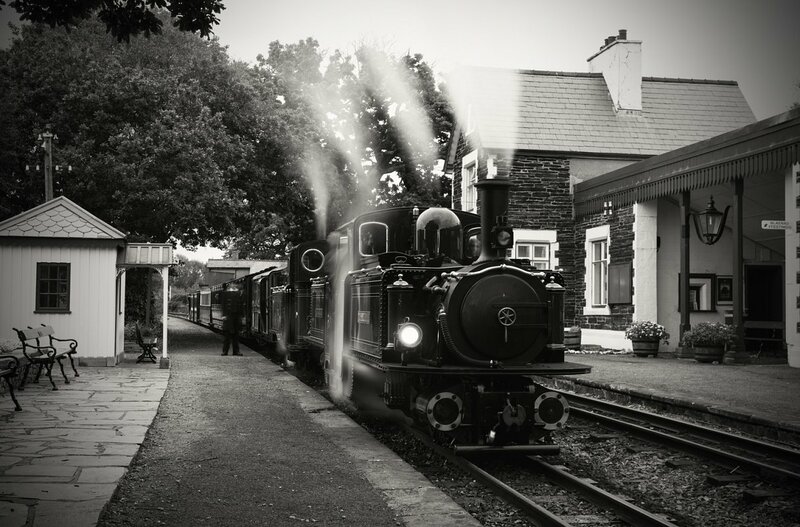 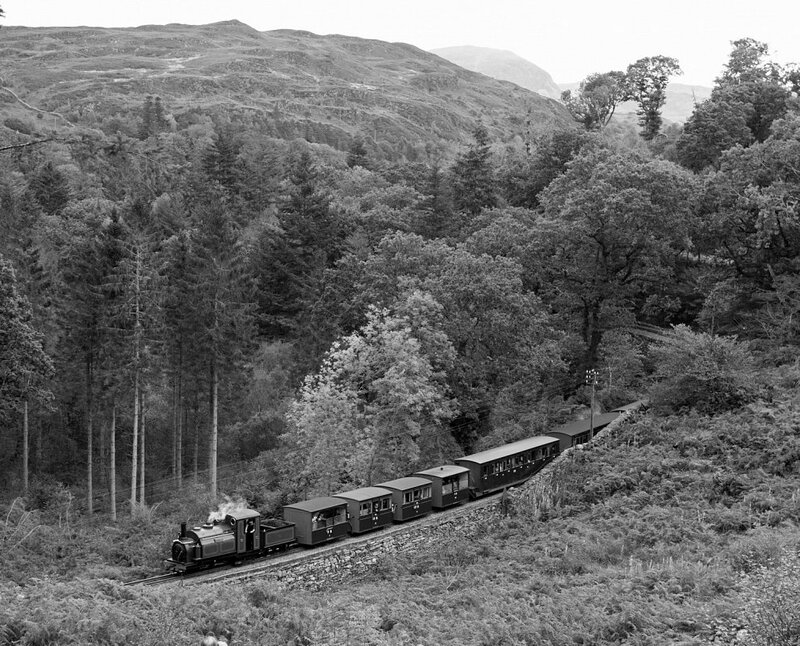 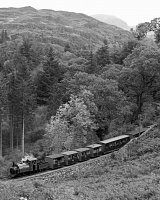 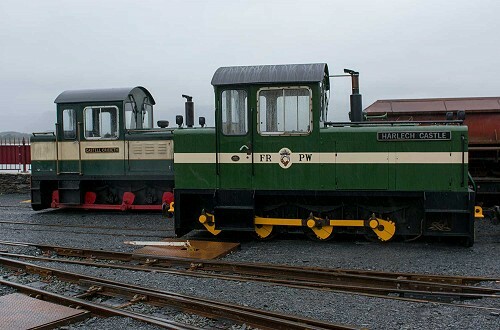 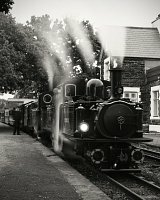 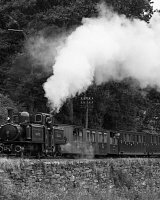 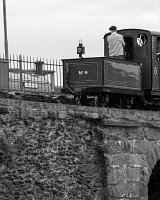 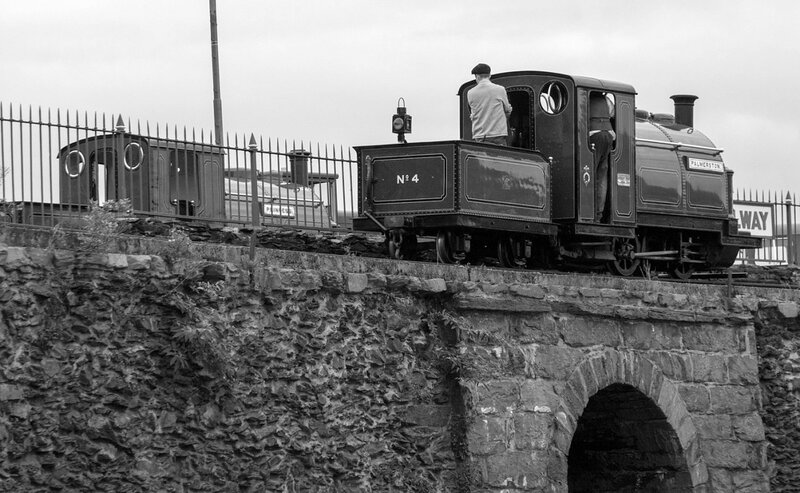 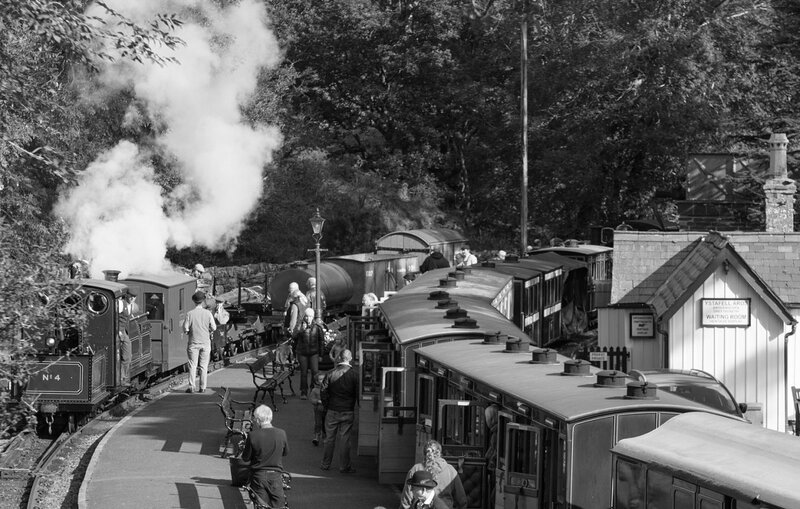 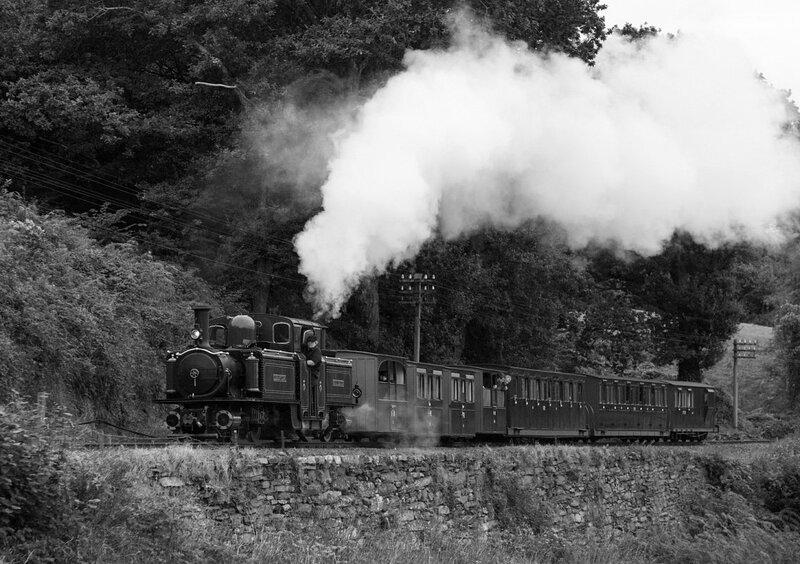 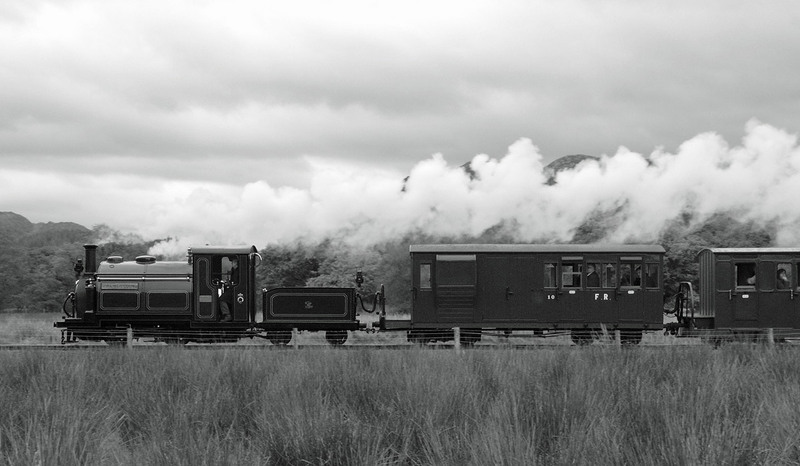 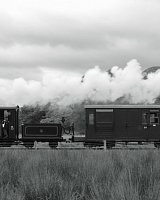 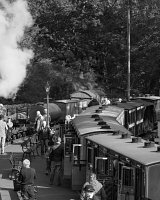 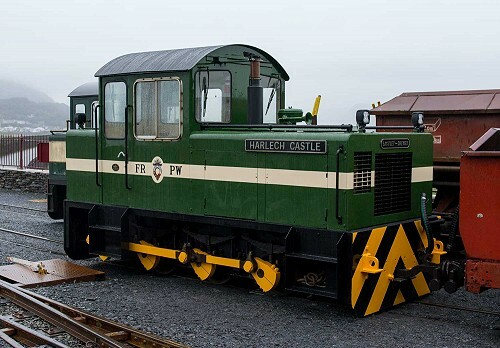 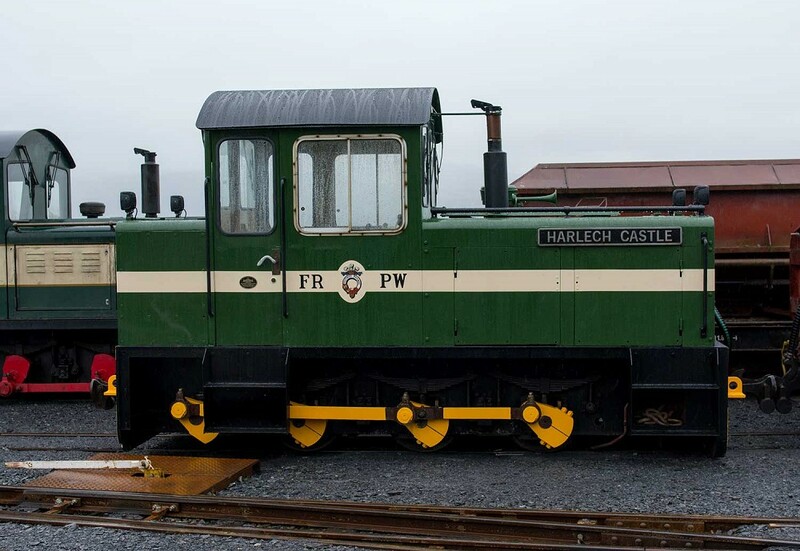 The Ffestiniog’s main Permanent Way diesel, Harlech Castle, has been undergoing significant maintenance and enhancements over the Summer. 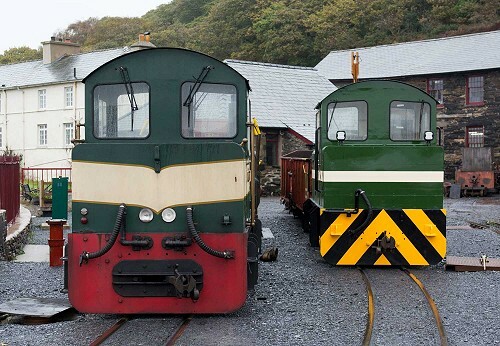 One of the main changes visually, is the reprofiling of the bonnets similar to younger similar loco Criccieth Castle, to accomodate a vacuum exhauster and ancillaries to enable the Permanent Way train to be fully braked similar to a passenger train. 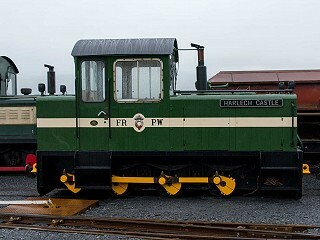 The livery has changed from the longtime yellow and grey and is now a striking green.